There are many options for sharing your Inigo digital business cards, all of which are quick and easy! You can share by social media, email, text, QR code, and more! In this guide, we will go over each way to share your Inigo card, as well as a few tips and tricks for the best utilization of Inigo cards. From the "cards" page, click the blue share button on the card's button right-hand corner. This will take you to the share screen. From here, you can choose to share by text, email, or other. We will elaborate on these share methods more in the sections below. To share a different card, click "more cards" from the cards page. 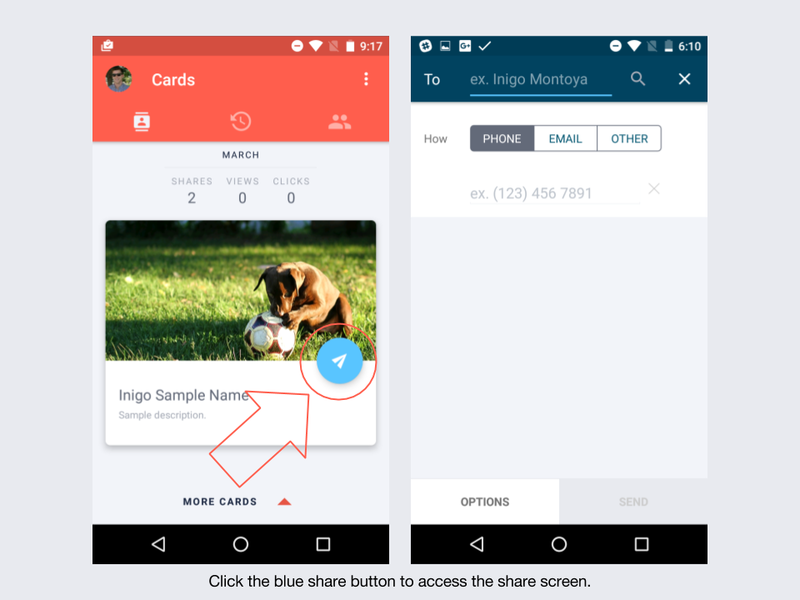 When you open another card, you will have the option to share it from the cards page, or to share it from the share button on each card. To share from an opened card, please click the share button on the bottom of the card. This will take you to the share page as well. To share an Inigo card by text, please access the share screen from above. 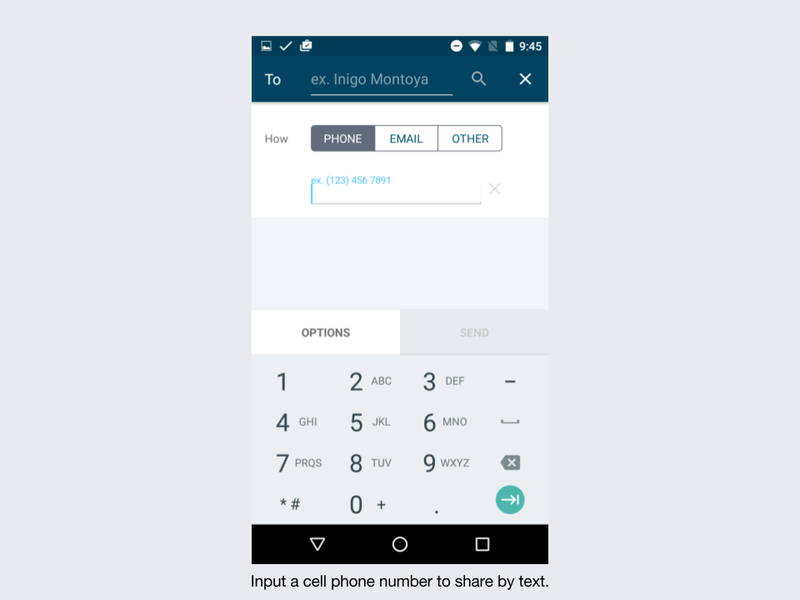 Choose "phone" and input a cell phone number in order to share your card. 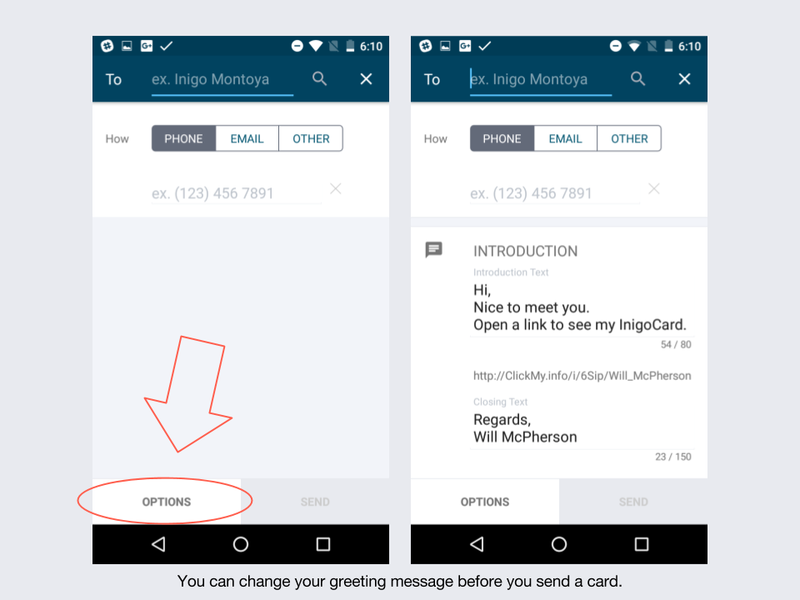 You will not be redirected outside of the app, the card will send directly from Inigo with your greeting message. To share by email, please choose "email" on the share screen. Input an email into the text field, and click send. You will be redirected to your email application in order to send the message. Because of this, it is possible to include a unique greeting message or the add more text than possible in a text message. To share by an external application on your smartphone like social media apps, messenger apps like Slack and WhatsApp, and more, please click "other" on the share screen. From here, click "Share via other apps on your phone." 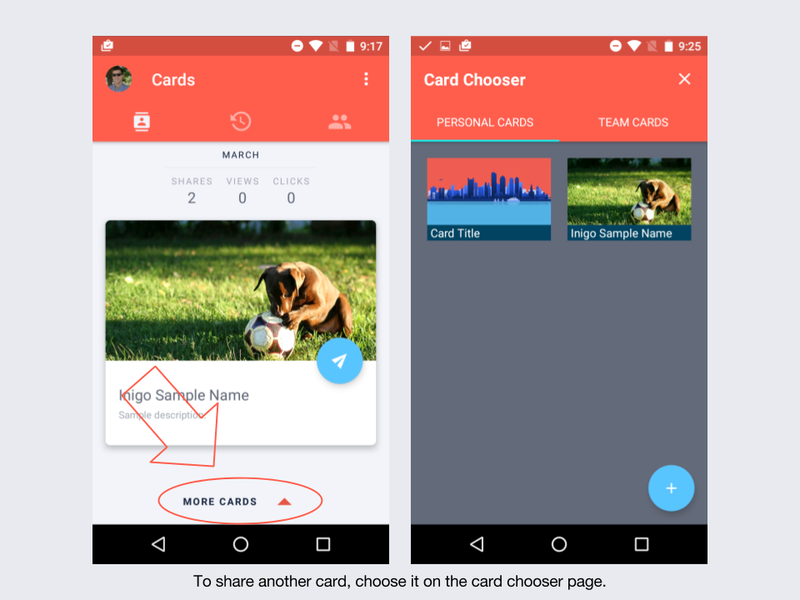 You will see apps on your phone that it is possible to share a card with. Inigo may ask you for "permission" to share with these external apps, please click yes so that this is possible. TIP: If you share by copying your card's URL, you can paste this URL almost anywhere. Include it in your email signature, send it to contacts via Twitter and Facebook message, and more! 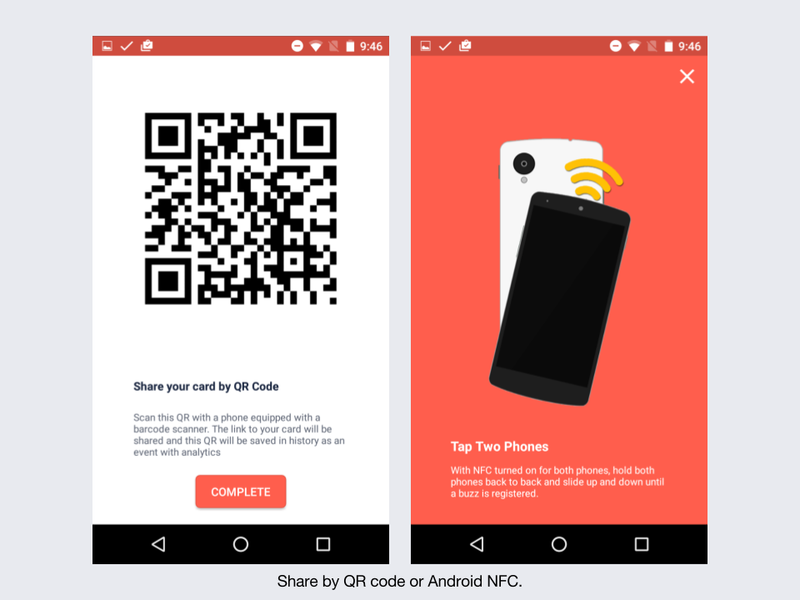 It is possible to share your card with a scannable QR code and with Android NFC. Click on "Share by QR code" to generate a QR code with this card's information on your screen that can be scanned by a contact's phone. 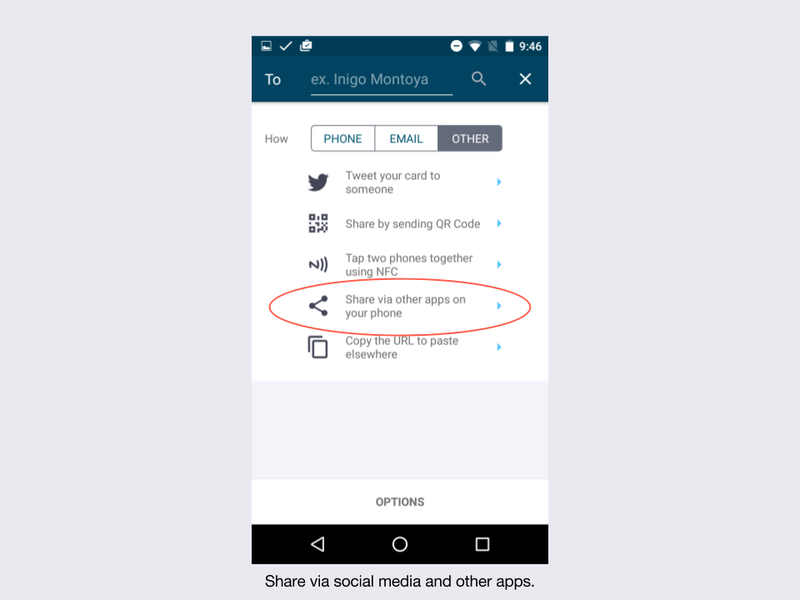 If a contact has an Android phone you can share by NFC. 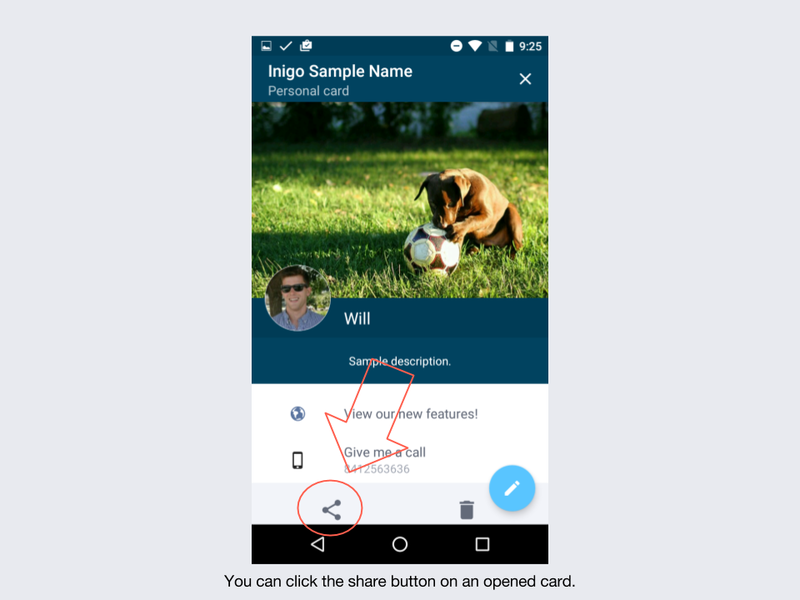 Click "share by NFC" and tap your phone to the recipient's phone. Please make sure that both phones have NFC turned on in their settings. 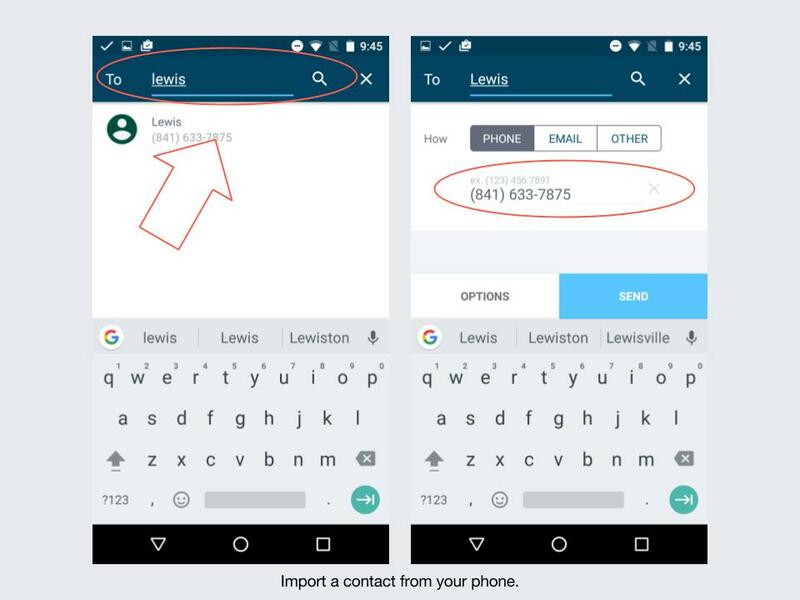 It is possible to share your Inigo card to contacts that are stored in your phone's contact list. To do this, go to the share screen and input a name in the address field. Click the magnifying glass, and Inigo will find the contact that you are sharing the card to. 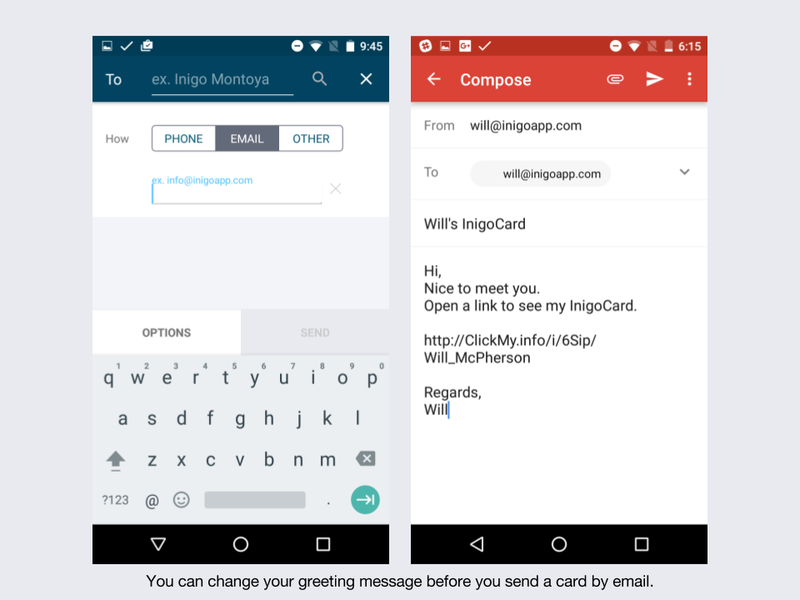 It is possible to edit your greeting message before you share a card on an individual basis. The new greeting message will not become your default message. This is an easy way to personalize a message when you meet a contact.